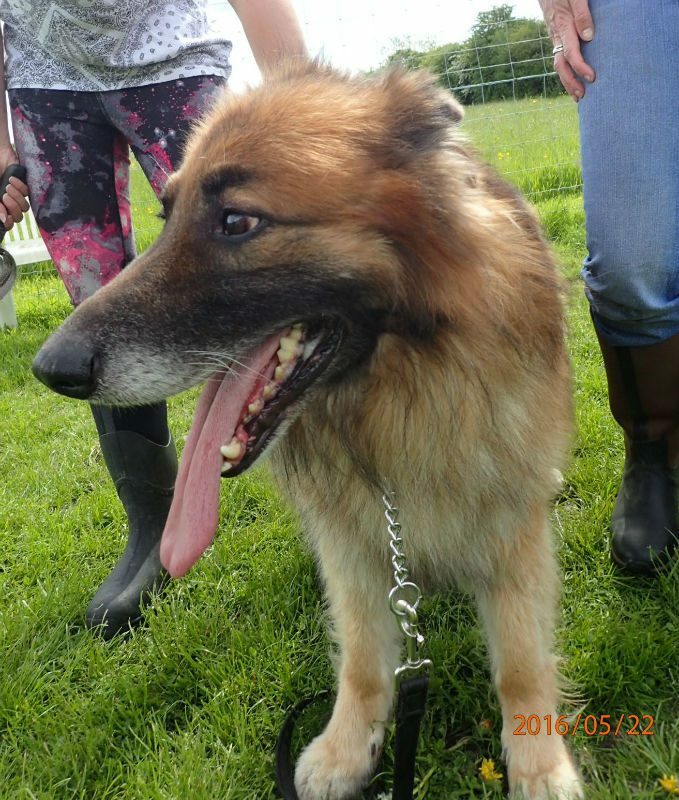 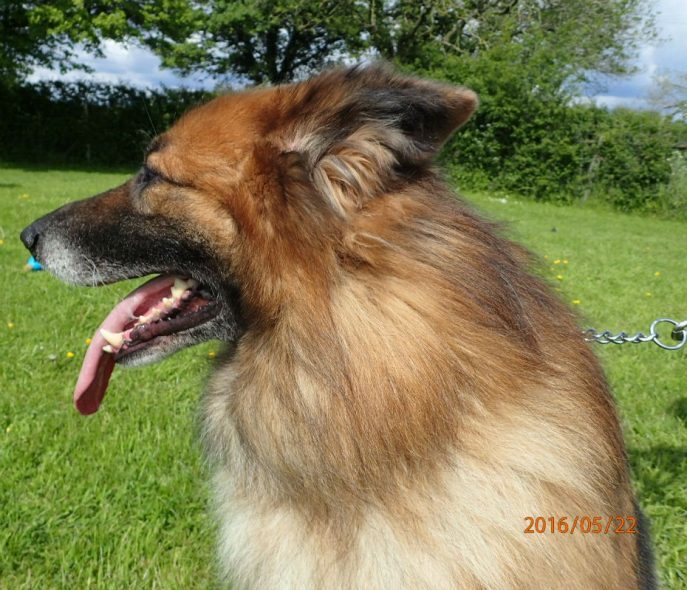 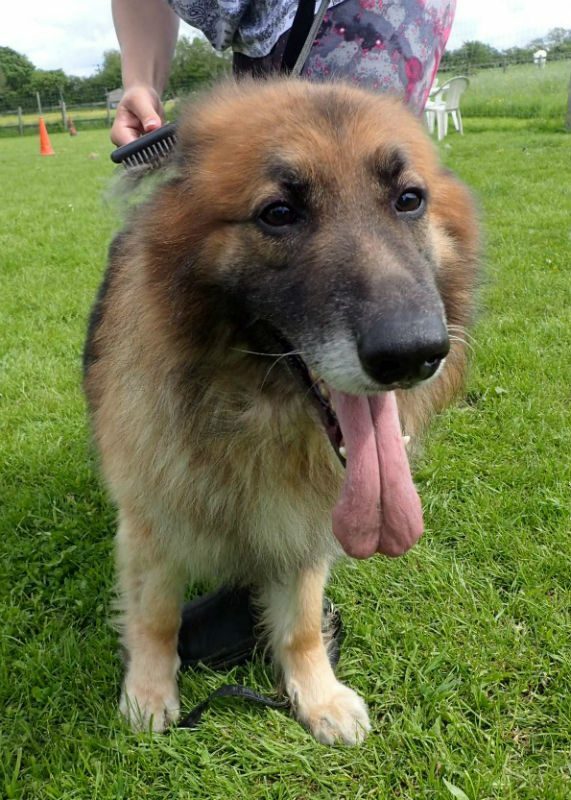 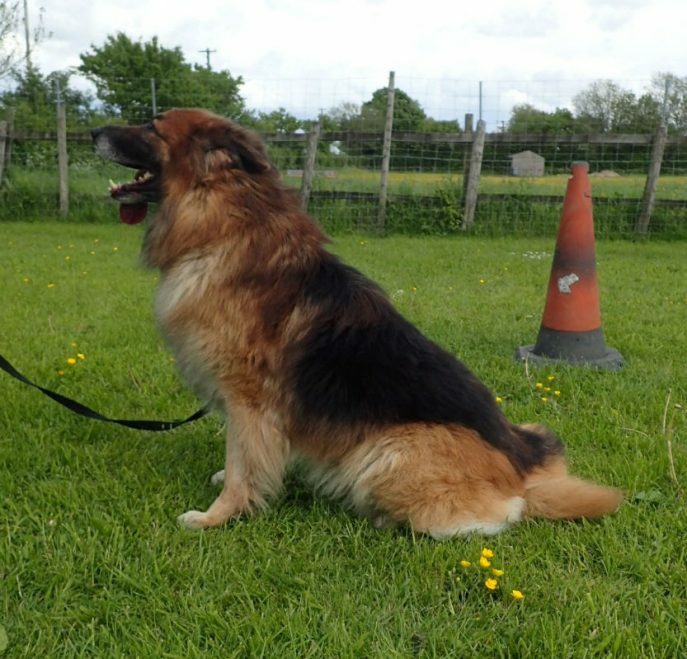 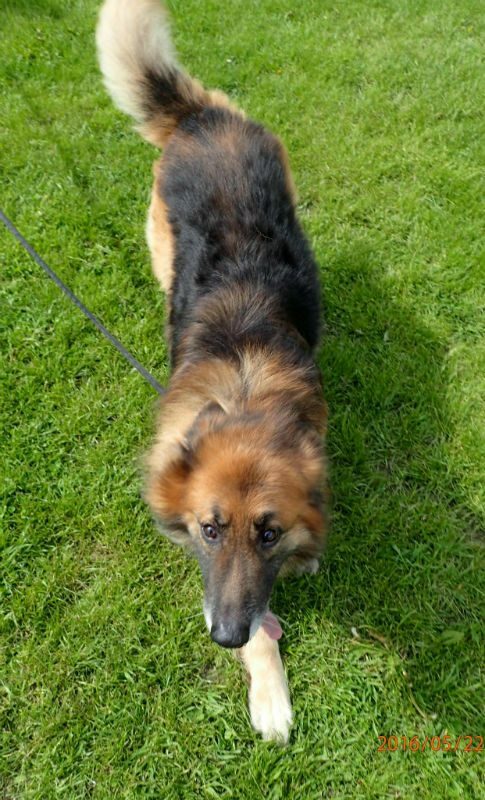 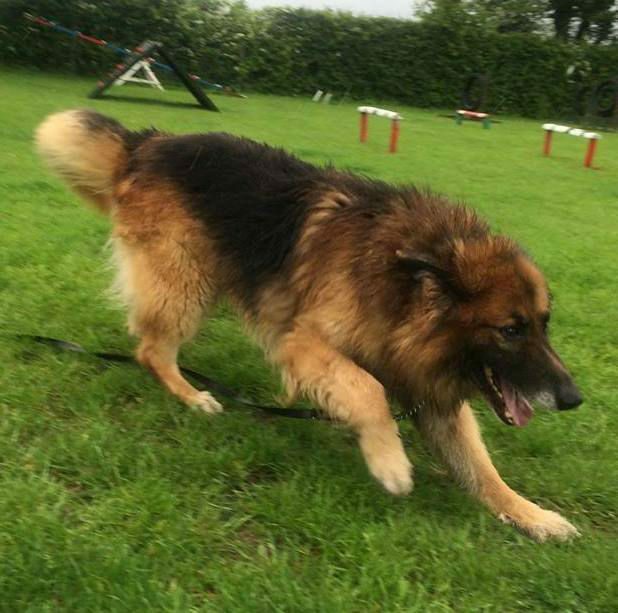 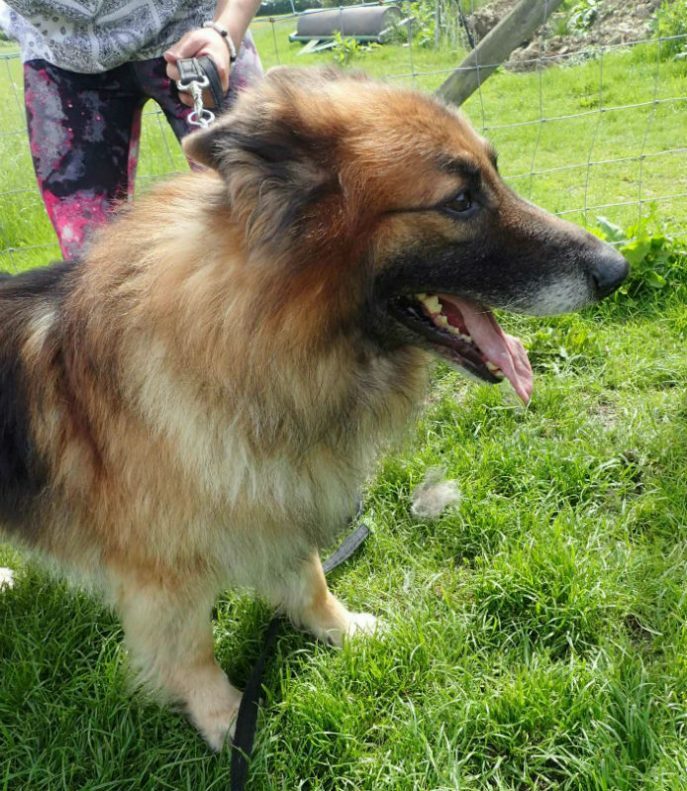 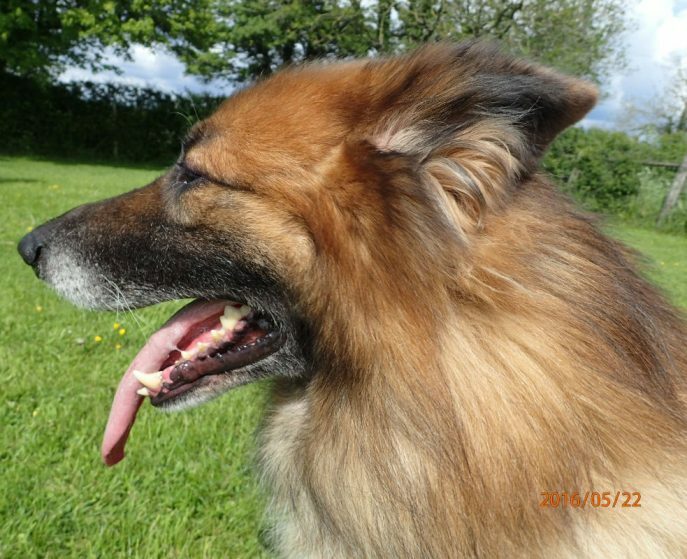 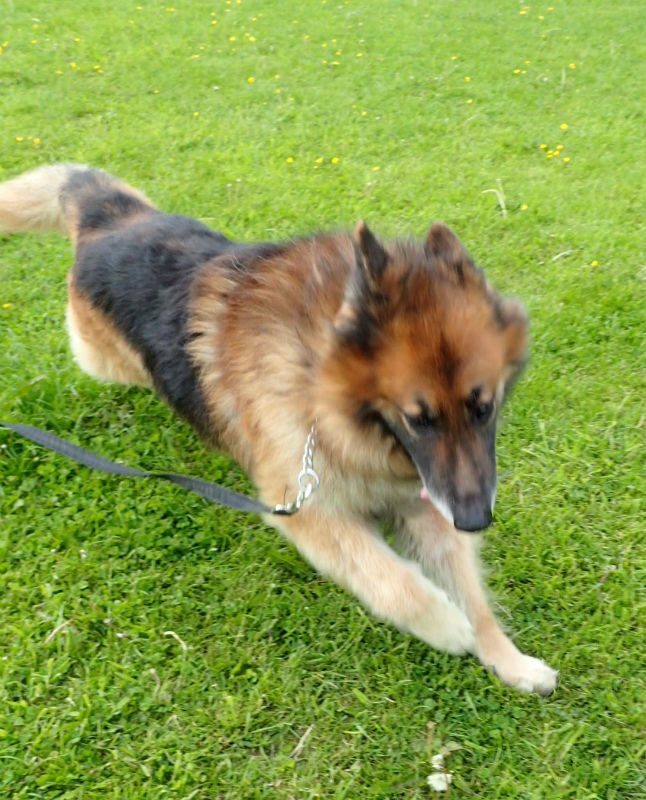 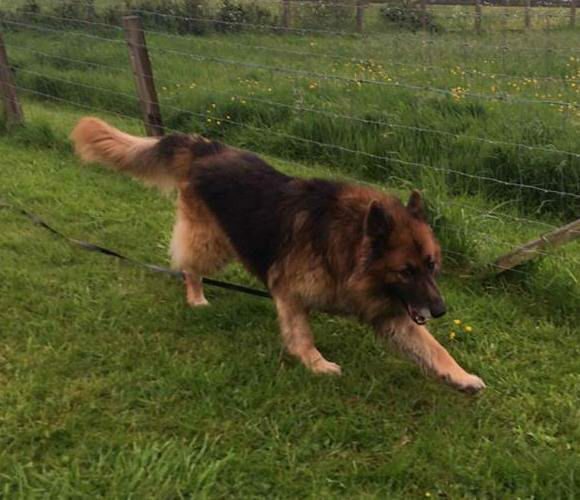 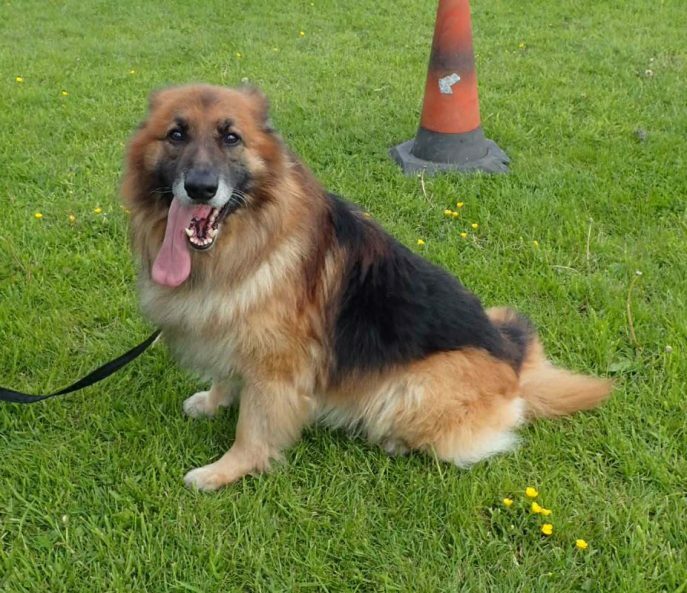 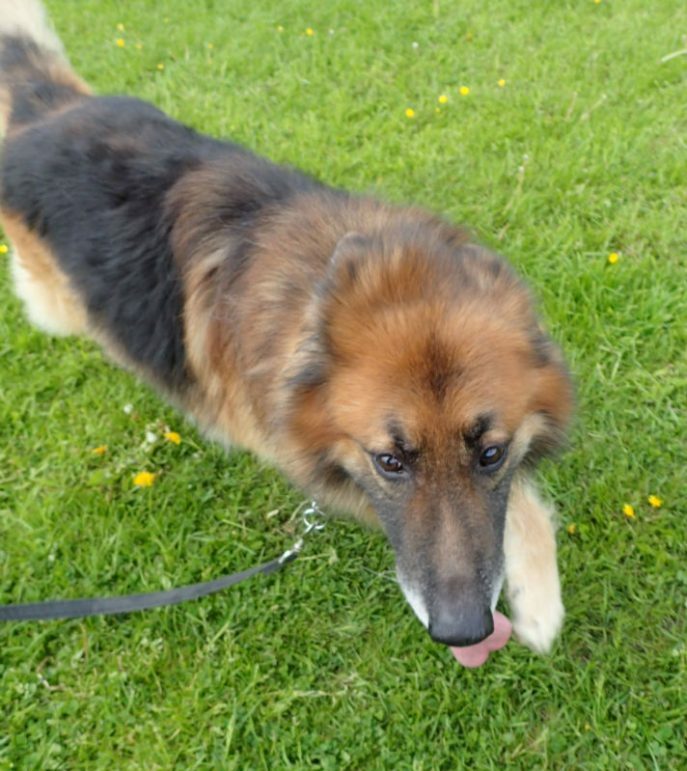 This gorgeous lad is 8 year Zeus who is now neutered, microchipped and vaccinated. 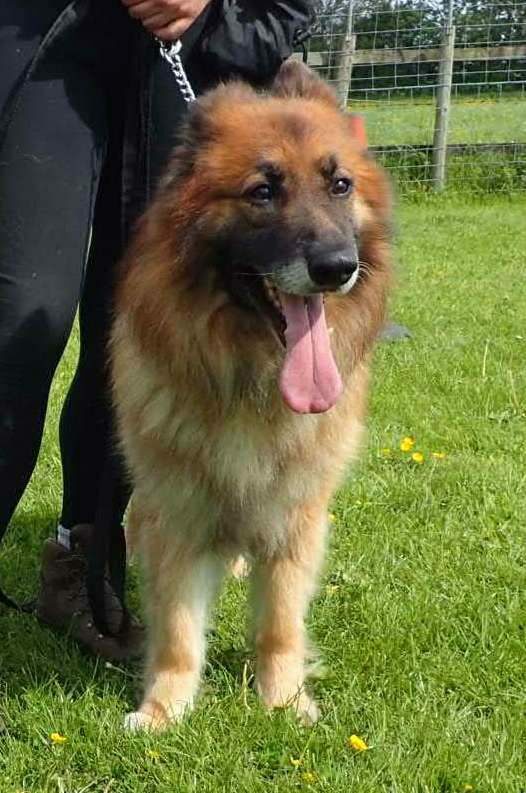 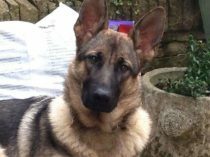 Zeus came into the rescue along with 5 other dogs and 3 pups having been voluntarily surrendered to the council by a breeder who was described as a puppy farmer. 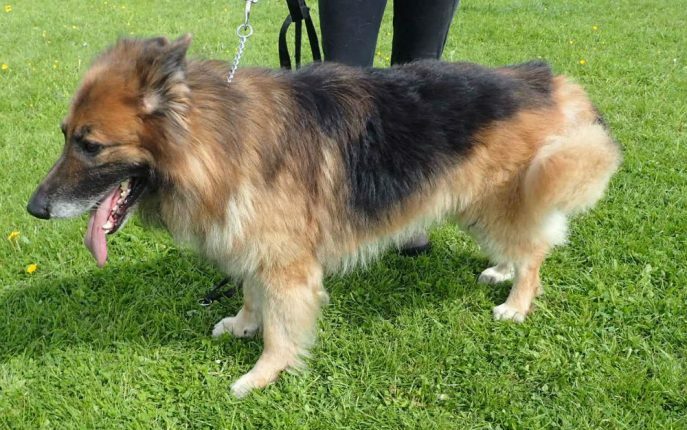 The dogs had been found living in sheds and were being neglected in the sense that the owners did not even go up there once a day on many an occasion. 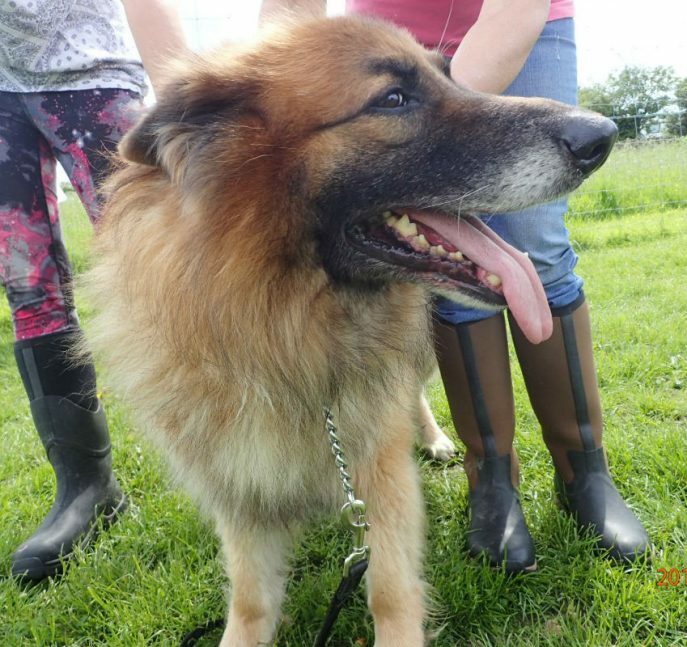 Zeus has been used for breeding so is happy around girls as you can imagine. 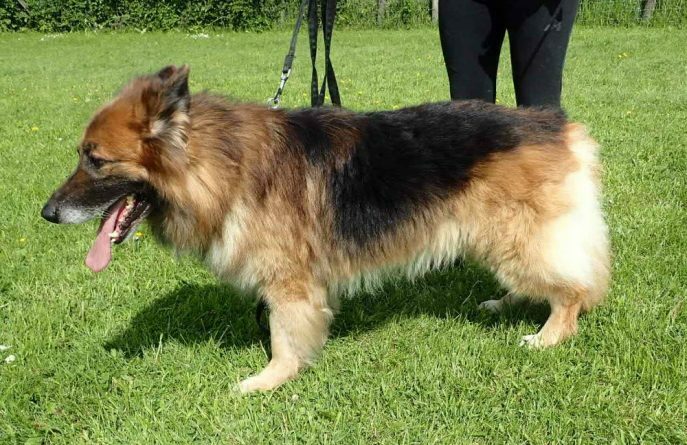 All dogs have super temperaments and just need some lead training and boundaries put in place. 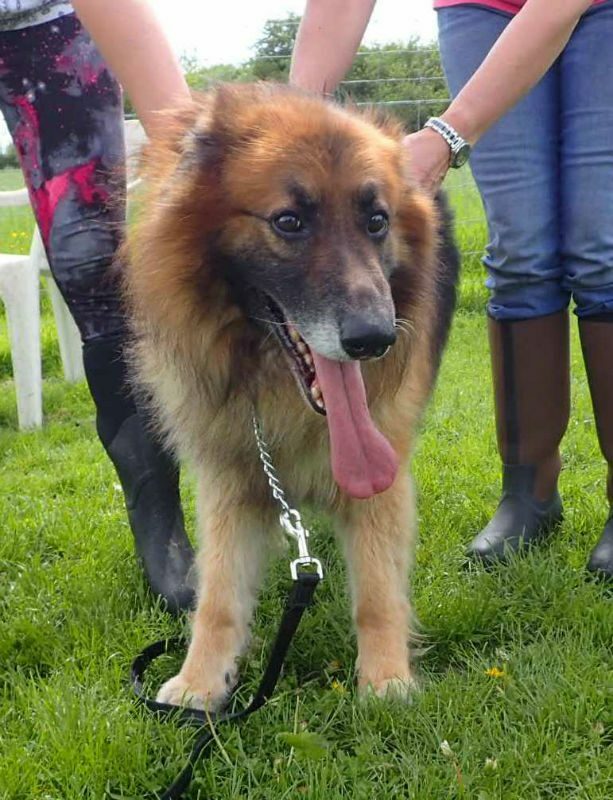 Can you give Zeus the retirement home he deserves please? 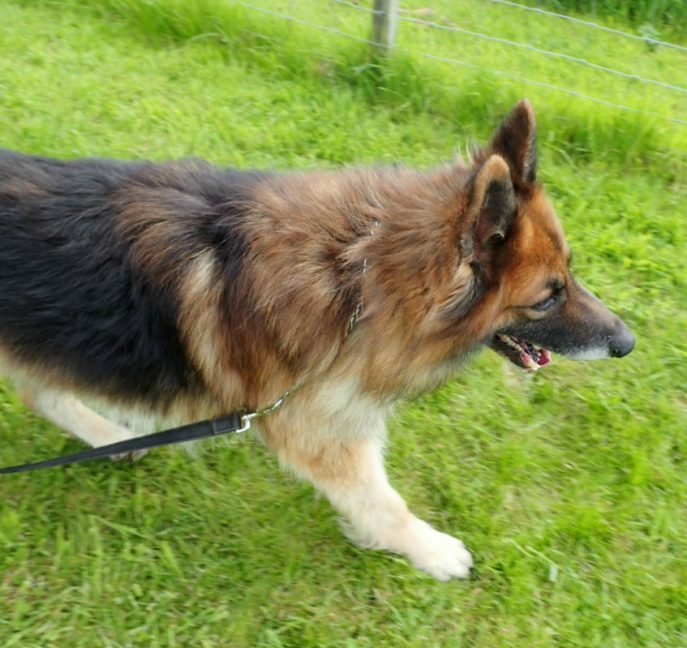 The lovely Zeus has headed off to his forever home! 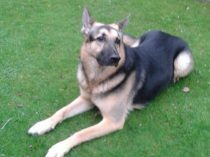 After a wonderful retirement the handsome Zeus has passed over Rainbow Bridge after a stroke.